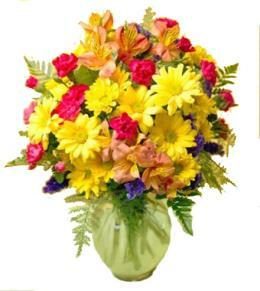 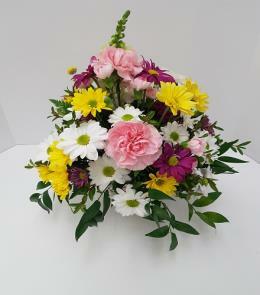 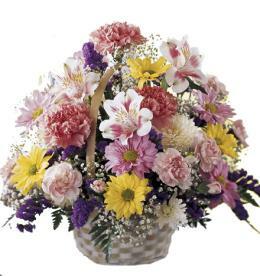 Order early please to allow time to bring in these flowers. 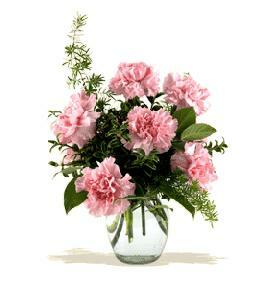 The Peaceful Passage Casket Spray is a graceful way to honor the deceased with tranquil beauty. 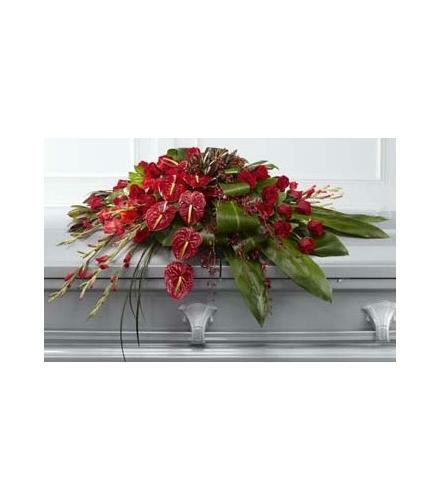 Brilliant red roses, carnations, gladiolus, anthurium, orchids and hypericum berries are splendidly arranged amongst a variety of lush greens to create the perfect accent piece to bedeck the top of their casket as a moving display of love and affection.Funeral Casket Spray - Peaceful Passage Anthurium Casket Spray. 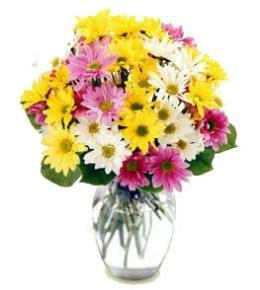 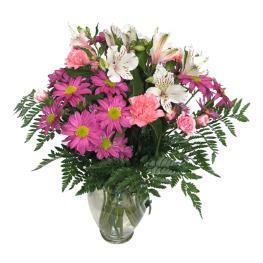 Florist Notes: Some flowers are seasonal and not available in all markets for same day delivery.